So here we are going on day 4 of Polar Vortex 2014. For those of us with little ones, that means day 4 of being our baby's sole source of entertainment. Usually we can go for walks with the dog, visit friends, run errands, or volunteer, but with none of those things to break up our day, we are tasked with using our imaginations. The easy way out is to set Pip up with another Baby Einstein toy - the Roll & Explore Symphony Ball she got for Christmas. 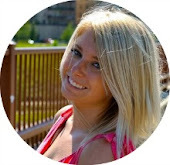 (seriously…this is not a Baby Einstein commercial - we just happen to have a few of their products as gifts. But they're awesome at keeping baby occupied!) It can play in 3 languages - English, French, and Spanish- so naturally I set it to Spanish and let Pip press the buttons. 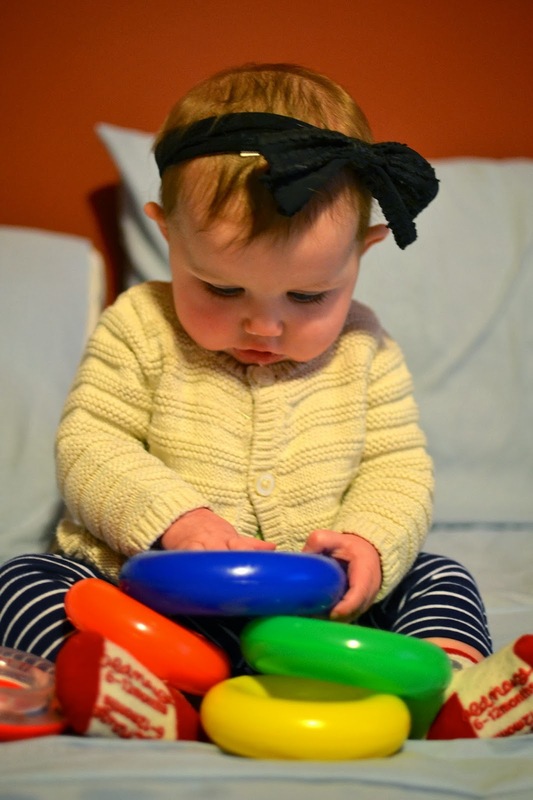 Her current favorite is tambor (drum) because it plays a fun beat. IMG 2871 from Emily Krause on Vimeo. An activity that requires a little bit more participation on my part is learning colors and numbers. I basically take any toy that catches her attention for the moment and just tell her (in Spanish of course) what color it is. I think I'm going to start studying for when our Spanish interactions become more interactive. (Seriously…what's the word for doorknob? I'll have to think through weird commands like "please don't blow raspberries at me.") This is what Pippa thinks of my "lesson" on los colores. anaranjado? sweet, I'll lick it. 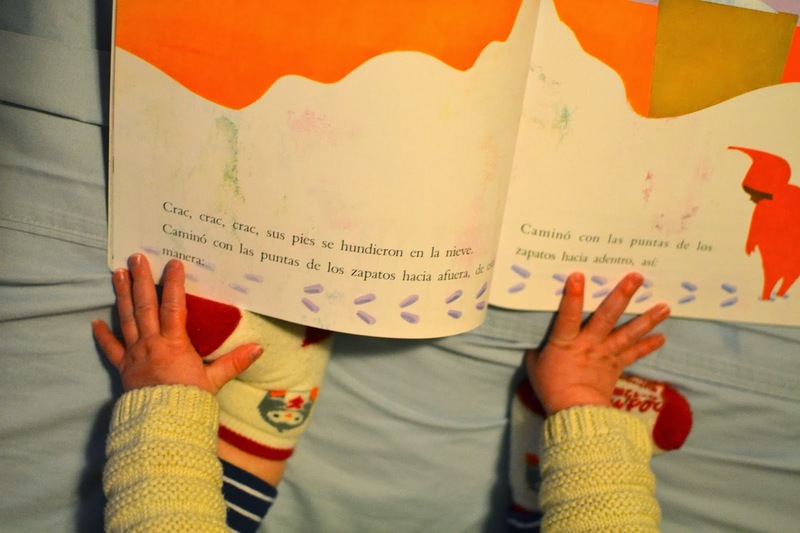 The last (and best, in my opinion) activity to do for practicing Spanish on a cold polar vortex day is reading. We just got a bunch of new children's books in Spanish. 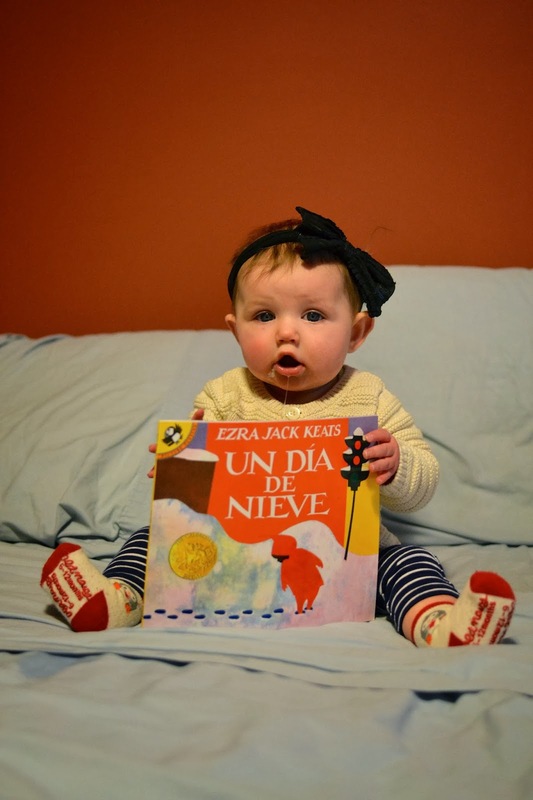 Our current favorite is Un Día de Nieve by Ezra Jack Keats. There is absolutely nothing like snuggling under a blanket on a cold day to read together. Mostly, Pip just likes to scratch and lick the books, though. In conclusion, do all the educational activities you want with your child. Mostly, though, there will just be a lot of drool.